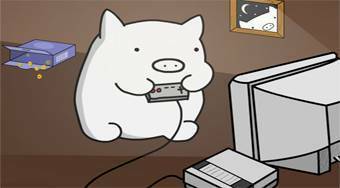 Do you like The Big Pig Game? Share it with your friends. The Big Pig Game - help the fussy pig to get to the pancakes whose aroma he smells many kilometers away.